In many European nations, it is common practice to smoke cannabis and tobacco together, introducing to a whole host of health problems. Around the world, cannabis smokers are mixing their dried herb with tobacco in an attempt to enjoy the perfect high. This common practice is posing more health problems than might be realized, due to the harmful carcinogens found in tobacco. 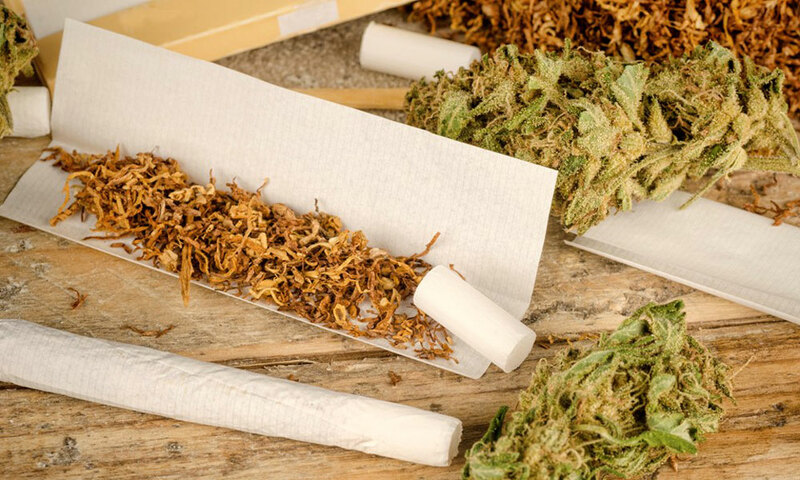 As healthier methods of ingesting cannabis are discovered, it’s likely the tobacco-infused spliffs will be fall in popularity, but for now, many nations are considering cannabis a gateway drug to cigarettes. Seemingly from birth, children in the United States are warned about the dangers of tobacco and second-hand smoke. Every year, eight million people die from diseases like lung cancer and cardiovascular disease, illnesses that are specifically associated with cigarette smoke. This might be why only 8 percent of cannabis smokers in the U.S. mix their herb with tobacco before smoking. It might also be due to the fact that we have already been exposed to cannabis in its many forms, from oils to edibles, when many other countries have yet to stumble on these special treats. In European countries, where cannabis is still a highly illegal substance in many places, it is estimated that nearly 90% of cannabis smokers roll their joints with tobacco, too. Not only does it help to mask the strong cannabis scent, but it can actually alter the way our bodies react to THC and CBD. Nicotine releases opiate-like feelings, which relax the muscles, ease tension and produce and overall feeling of calmness. Paired with the powerful effects of cannabis, the combination sounds like a winning match. The sedated feeling only lasts for a short time and before long, smokers might find themselves craving not only cannabis but a cigarette as well. For this reason, cannabis is considered to be a gateway drug to its legal companion tobacco, a phenomenon known as reverse gateway effect. In many of the European nations where this tobacco and cannabis combination is gaining popularity, smokers have yet to be introduced to cannabis in its other forms. The perfected edibles, oils, dabs, and tinctures many in the United States are accustomed to are not available outside of the country. Many nations still use dried flowers as their only source of cannabis exposure. Smoking cannabis, even without the tobacco, is not the safest method of ingestion. In general, any form of smoke inhalation can do some damage. New research has revealed that vaping might be the healthiest way to ingest cannabis. Within a vape pen or other such device, the coils superheat the oils or flowers, turning the THC and CBD into vapors, not smoke. These vapors are much cleaner, healthier and safer to ingest than any kind of smoke. Likewise, edibles and tinctures require no inhalation at all. By simply introducing the cannabis to the body in different ways, people can cut back on any dangerous effects they could encounter while using cannabis. As the cannabis legalization movements begins to make its way overseas, more and more enthusiasts will be exposed to the many varieties and forms of cannabis that are available, helping to spread the word and decrease the use of tobacco in association with cannabis.